Latest openbook inside, and support cloud openbook and endbook from 1.5. 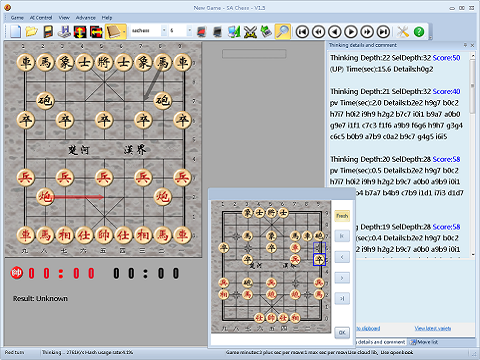 The unique feature, analyze mode can be used to find best move on any complex position. SA Chess uses XML file format and support pgn, xqf , cbl, mxq, che and so on formats. SA Chess UI was designed elaborately and detailed. V1.5 added real voice to read moves.